Wild rice used to be considered a luxury item. And it still is, although a one pound bag of wild rice is only $3.00 in my grocery store. That's not exactly a budget breaker! Be sure that you are buying the long grain wild rice. There are some varieties where the rice is broken into small pieces, and that just cooks up to mush. The longer the grains the better. Wild rice isn't rice - it's the seed of an aquatic grass native to North America. If you can find hand harvested wild rice grown by a Native American tribe in Minnesota, grab it! It is more expensive, but has the most wonderful nutty flavor and firm yet tender texture. To cook wild rice, first carefully rinse it and remove any extraneous material. Combine 1 cup of the rice with 3 cups of water and 1/2 tsp. salt in a large saucepan. Bring to a boil, reduce the heat, and simmer, covered, for 35-45 minutes until rice is tender. Drain, if necessary; makes 2-1/2 to 3 cups depending on the rice. This is such a delicious recipe. It looks long, but goes together very quickly and it's perfect for a large crowd, especially served with Onion Scones. 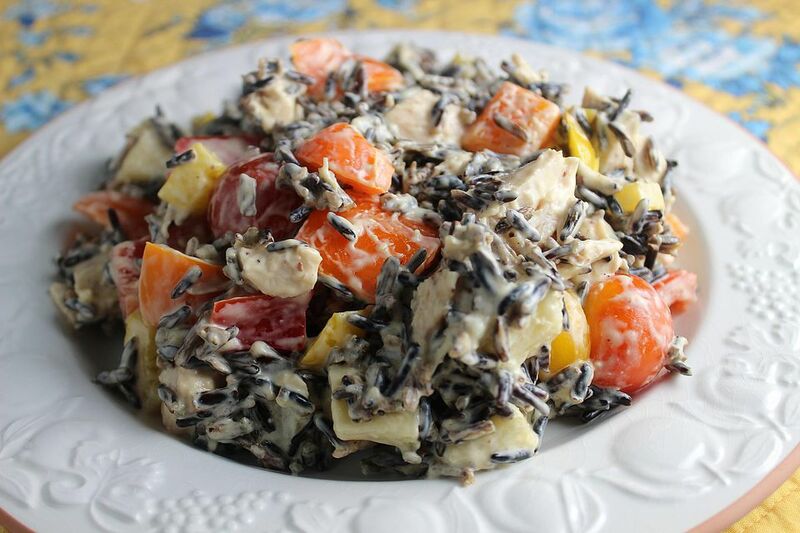 Wild rice cooks to perfection in your crockpot. The nutty taste and tender texture are a wonderful addition to a classic chili. Sour cream and Dijon mustard add wonderful texture to this quiche; it really melts in your mouth. You can serve this simple pilaf as a side dish to simple grilled chicken breasts or pork chops, or serve it with other selections as a vegetarian entree. For meatloaf lovers, cooked wild rice takes this humble dish into another dimension. You must try this recipe! This easy crockpot recipe uses just five ingredients! Plus, you get a main dish and side disn in one pot. This easy and delicious one dish recipe is one of my favorites. Serve it with a green salad for a complete and simple meal.